360Works End of Year Sale Ends Today! Last chance to save 15% on all products. 360Works End of Year Sale! 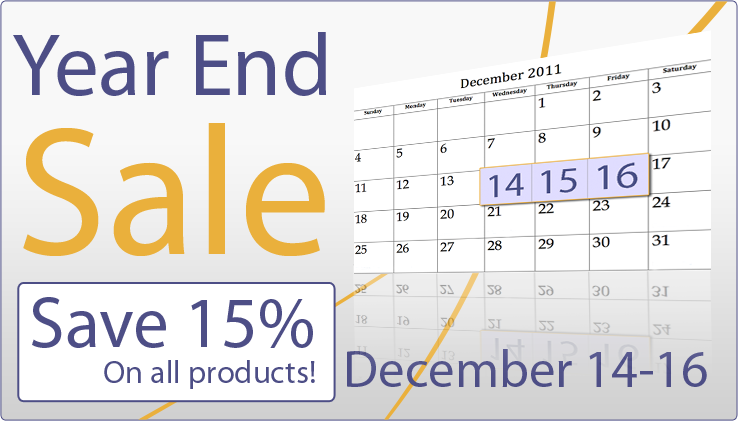 Year End Sale ends Today, save 15% on all products. Have you been thinking about how to better manage your documents and images? Wondering what it will take for you to be able to send HTML emails? Looking for ways to integrate FileMaker with other systems? 360Works has a suite of plugins and tools including our popular SuperContainer, Email, Plastic, and award winning DocuBin to help meet your business needs. You can order your favorite 360Works products a la carte, or you can order the 360Works Portfolio License, which bundles many of our products at one low price and includes one year of maintenance/upgrades. Be sure to like us on Facebook for the latest updates, news, and discussions on all things 360Works. Thank you, and have a great New Year! This offer cannot be used in conjunction with any other discounts or coupons. Discount does not apply to custom software development services, hosting services, or to our SafetyNet backup service. if you no longer wish to receive updates about this product. Copyright © 2006-2019 Prometheus Systems Consulting, LLC d/b/a 360Works. All rights reserved.